What is the Payment Predictor? In today's uncertain economic climate it is important to understand as much about your customers as possible. 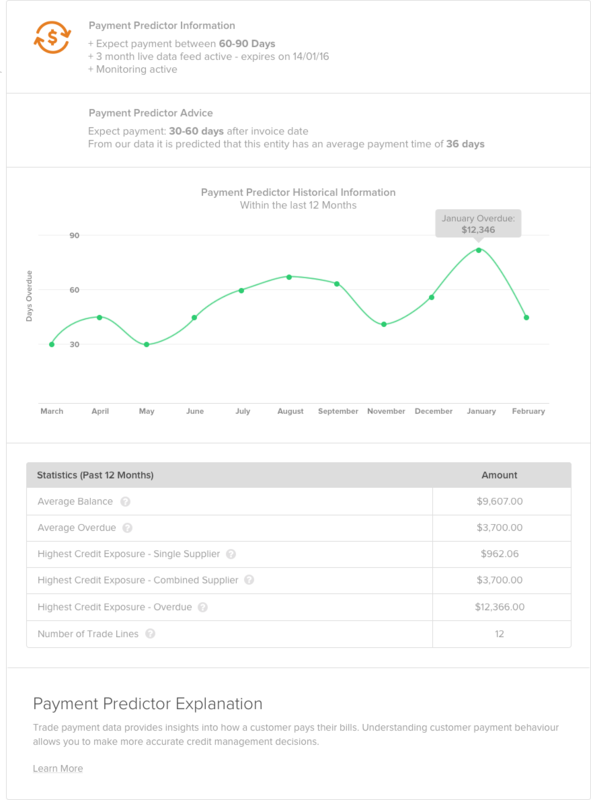 Our Payment Predictor displays the average number of days overdue that a debtor typically pays their bills, this will help you quickly identify customers that represent a risk to your business and cashflow. Prior to retrieving a prediction, you will be presented with a message outlining what information is included when you retrieve the prediction. Predictions will either be purchased or retrieve by using a free inclusion from your plan. The message will look similar to the image below.